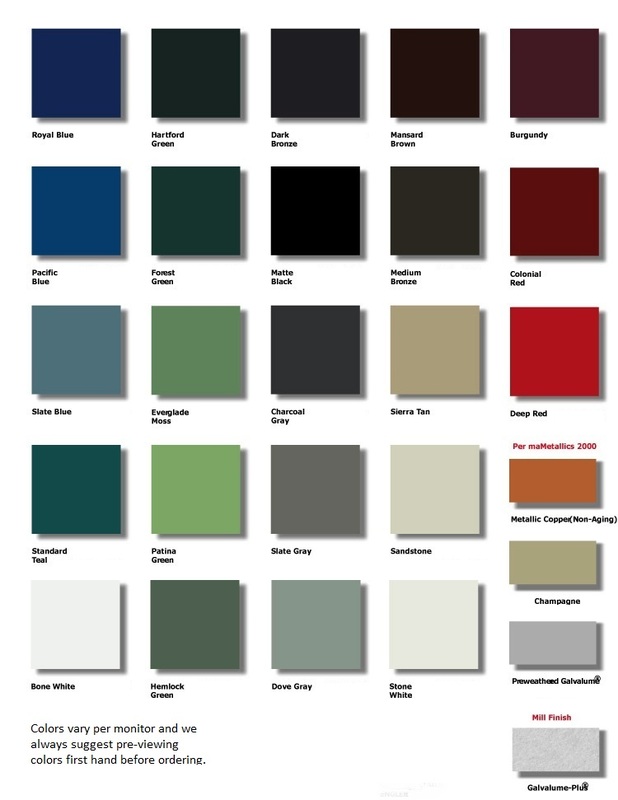 Standard COLOR chart for metal roofing pre-finished coils. CONSUMER NOTE: Please notice before picking a color that the darker colors as you drive around starting to notice metal roofing systems will fade with age. We cant stress enough to avoid a darker coated metal to avoid premature re-painting. Or GO BARE GALVALUME AND NEVER PAINT AGAIN! NOTE THE PREWEATHER GALVALUME. IT DOES CHANGE!